The Royal Academy is back in Burlington Gardens and to re-launch the space they are hosting RA Now, an exhibition and auction that offers the opportunity to view a selection of works by current Royal Academicians (there are 80) and Honorary Academicians. 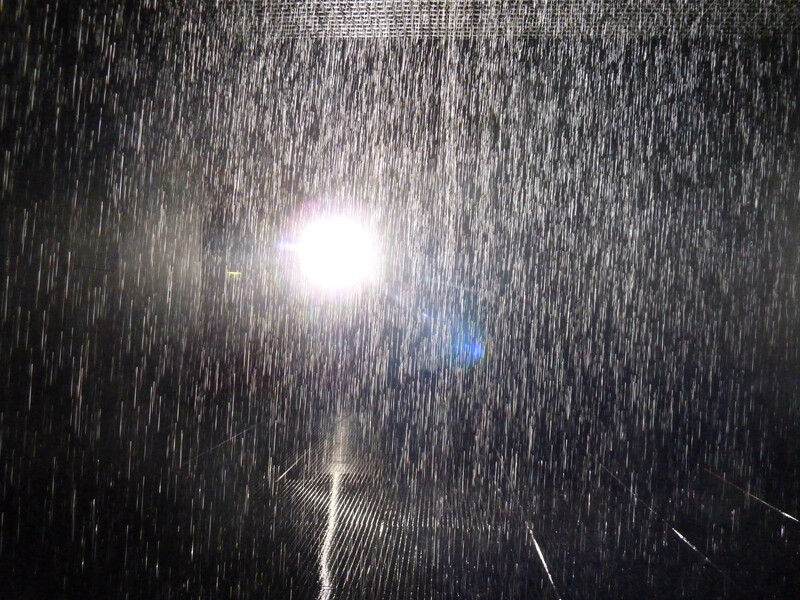 Be prepared, as the exhibition includes work by 121 artists! It has been co-ordinated by Allen Jones and feels like the Academicians’ version of the Summer Exhibition. 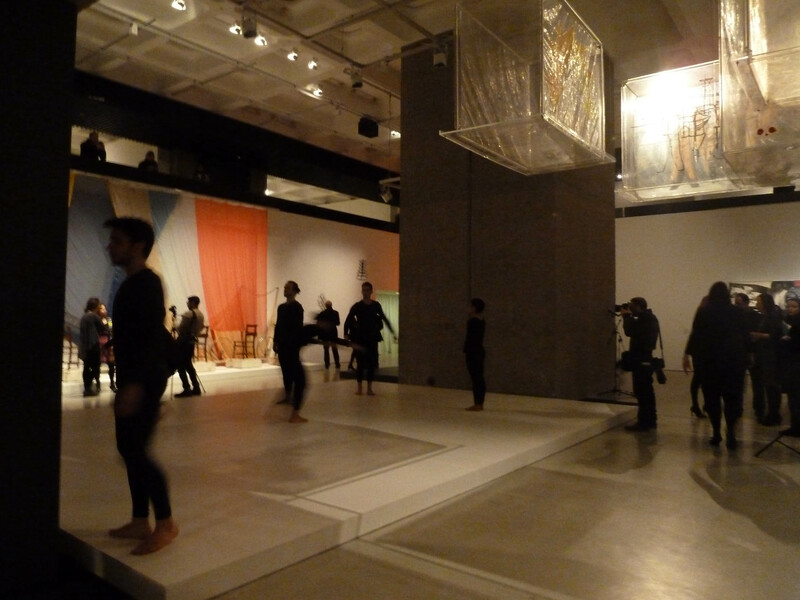 By nature a broad range of media and artistic disciplines are encompassed here and not all of the art is good – the show doesn’t exactly enthuse and excite visitors. The accompanying catalogue is designed to offer an overview into today’s Royal Academy rather than a survey of the exhibition and it is a lovely book. RA Now in Burlington Gardens. Own photograph. Although we are used to seeing their works individually, this is the first time that the current membership has exhibited exclusively together. All the pieces have been donated and funds raised from the works auctioned on 9th October will contribute to the Royal Academy’s long- term plans for this site – a veritable price-war for some of the biggest names in the art world today. 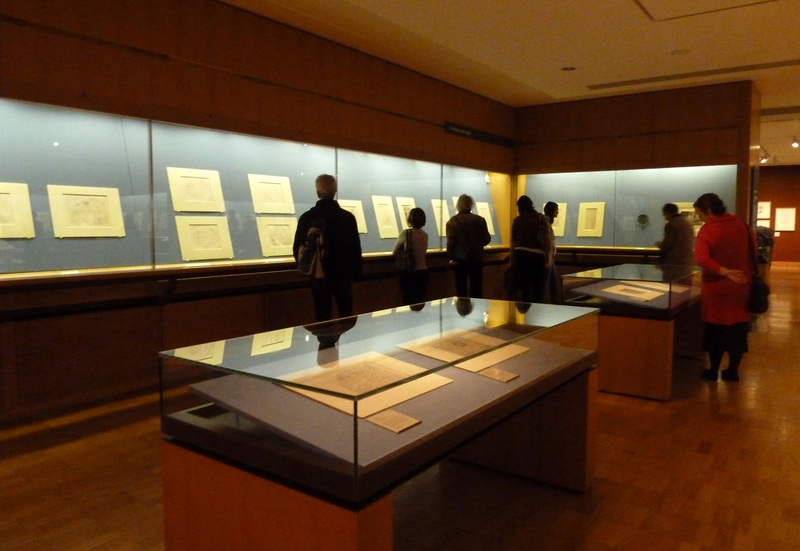 Works not auctioned at this time will be available to buy during the course of the exhibition. I think the next exhibition here in December will afford us more opportunity to see exactly what they are going to do with the space. 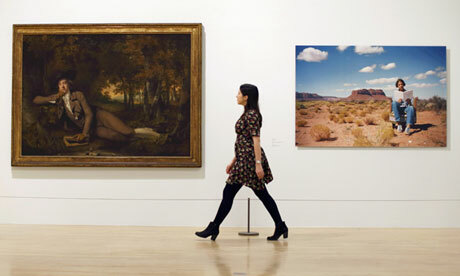 Due to this being a selling exhibition and auction, the curation isn’t very intelligent but it isn’t intended to be. 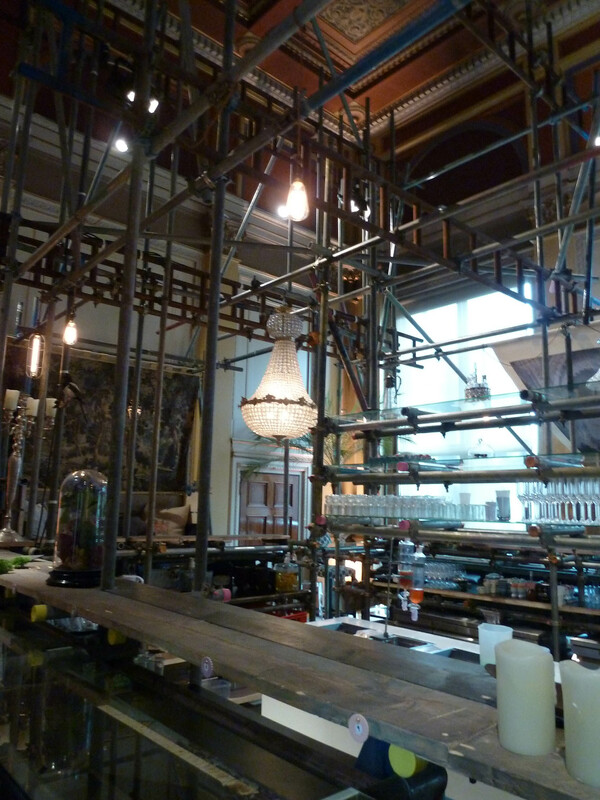 The RA seem to be setting up this venue as a cultural hub; Pace have opened a gallery downstairs plus there is a new RA shop, the 42° RAW café and The Burlington Social Club – an incredible, huge scaffold construction in the central room of the Burlington Gardens’ space. Sadly, the Club wasn’t open for us to try at the preview but it looks like a fairly special pop-up restaurant. Seats are placed around the main rectangular area which is where I’m reliably informed the magic happens – chefs and mixologists brush arms, vying for space in the laboratory. I think I may have to pop in to sample a cocktail. The Burlington Gardens’ space is stunning and I, for one, am pleased to see it reopened. The Burlington Social Club. Own photograph. Just round the corner in the main Royal Academy is Bronze, the show that everyone is going mad for, the current must-see. There are no surprises with this exhibition which is a delight. 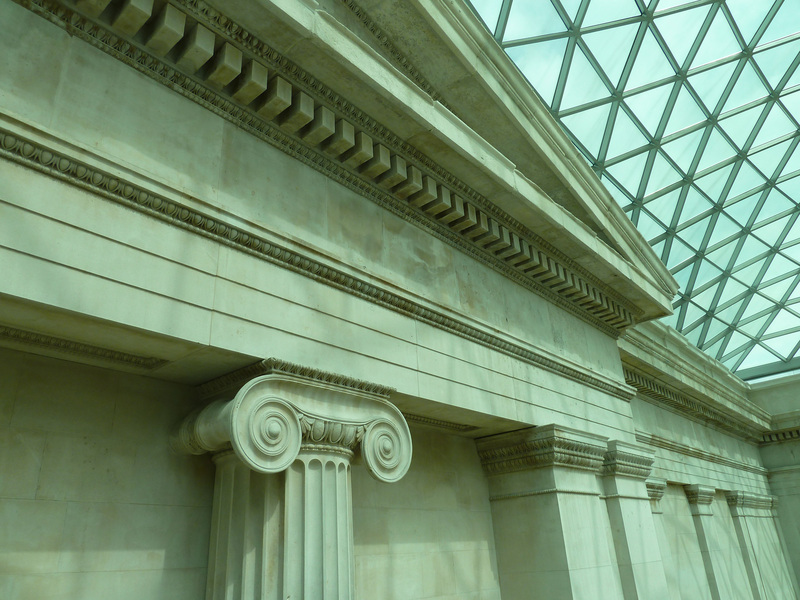 It does exactly what it says on the tin – presenting around 150 bronze works from across the world that span over 5,000 years, many of which have never been seen before in the UK, certainly not in public. The achievement of some of the loans is magnificent. It is straightforward, a blockbuster show both in terms of scale and ambition. Adriaen de Vries, Vulcan’s Forge, 1611. Image via www.telegraph.co.uk. 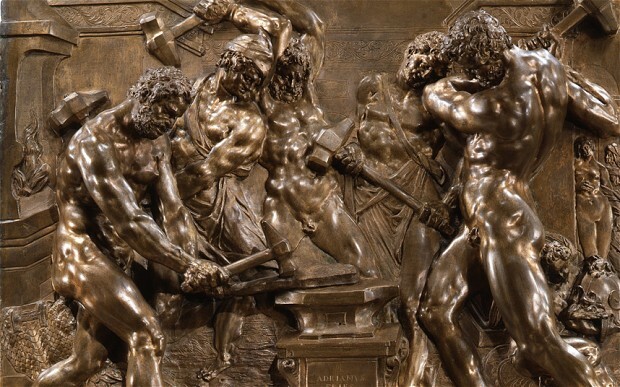 Bronze is arranged thematically with rooms focusing on the human figure, animals, objects, reliefs, gods, and so on, including works by Ghiberti, Donatello, Rodin, Picasso, Moore and Jasper Johns. Everyone is here! Chronologically, the show is intentionally messy but it is best to forget about this and enjoy the wonderful objects that continue to delight us as we stroll slowly from gallery to gallery. 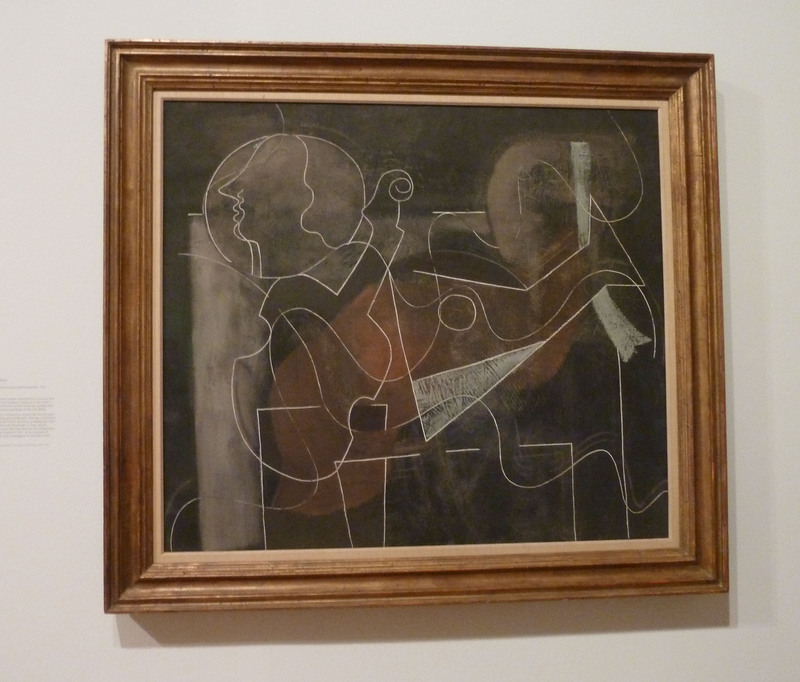 In fact, this arrangement seeks to show how the medium has not changed too much over the years and the curators would argue that the juxtapositions allow this point to be clearly illustrated. 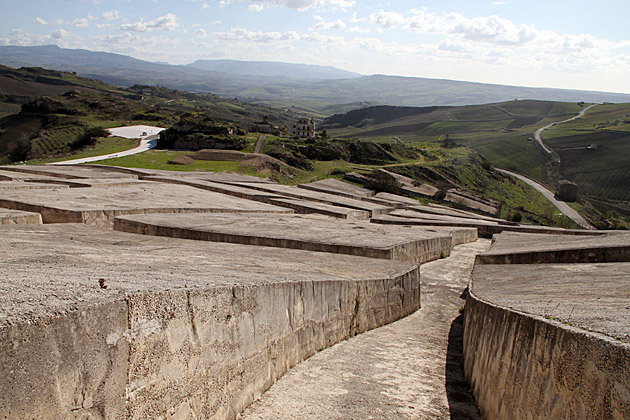 Works from thousands of years ago look as if they may have been made only yesterday. – such is the power of this medium. 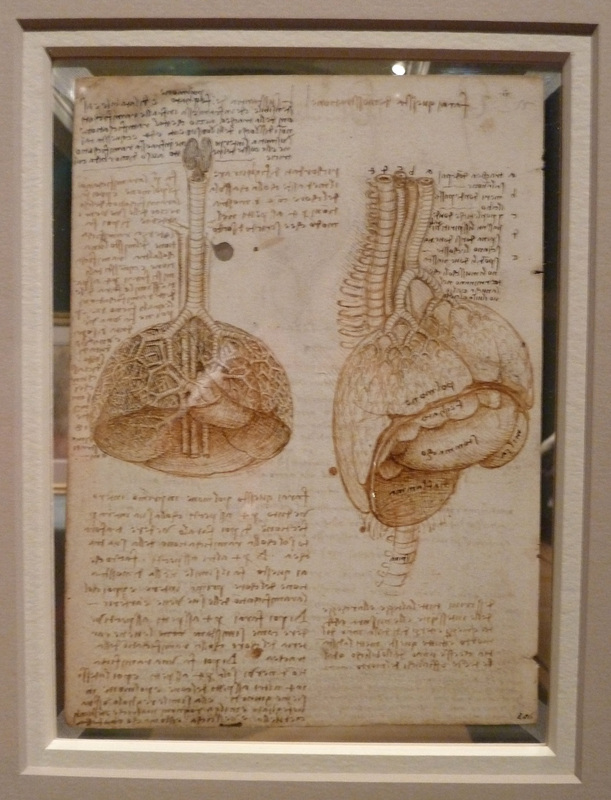 The individual objects are magnificent and the skill is awe-inspiring. 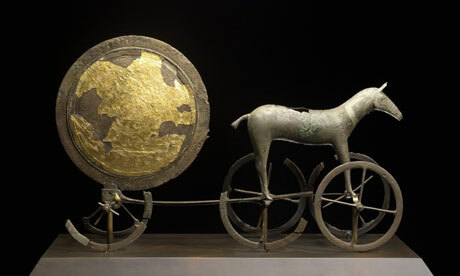 Trundholm Sun Chariot, Fourteenth century BCE. Image via www.guardian.co.uk. 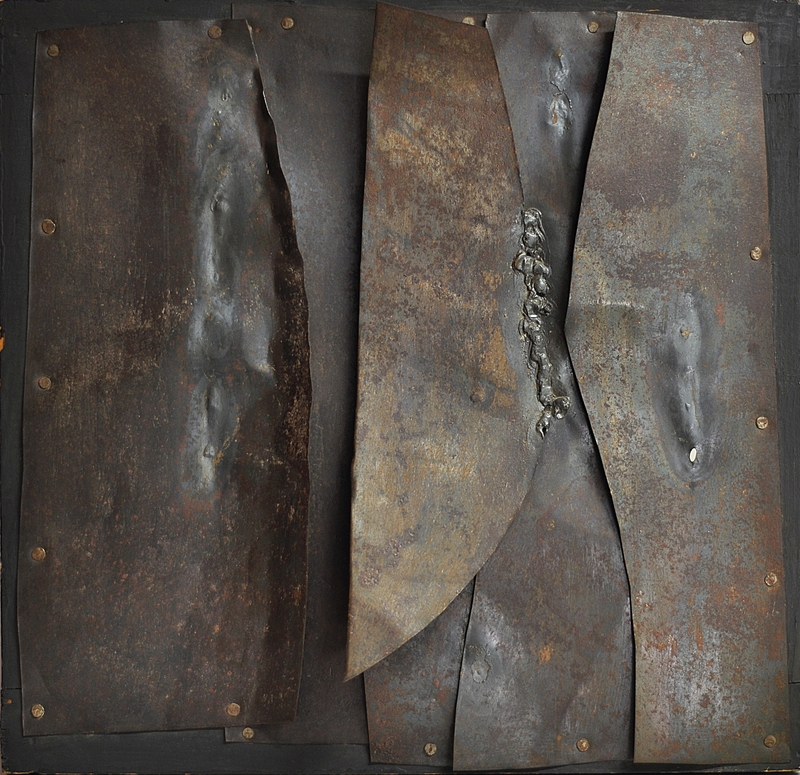 Intelligently, the show also seeks to teach us about bronze – an alloy consisting mainly of copper, with lesser amounts of tin, zinc and lead. One room is given over to explaining the complex processes behind bronze looking at various casting techniques and giving step-by-step explanations. 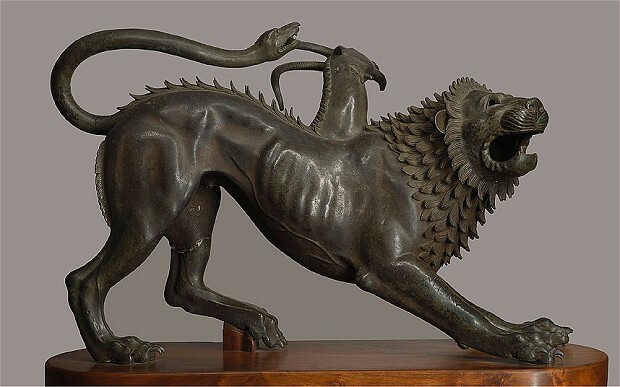 Chimera of Arezzo, Etruscan, c. 400 BCE. Image via www.telegraph.co.uk. There is, however, a large but. 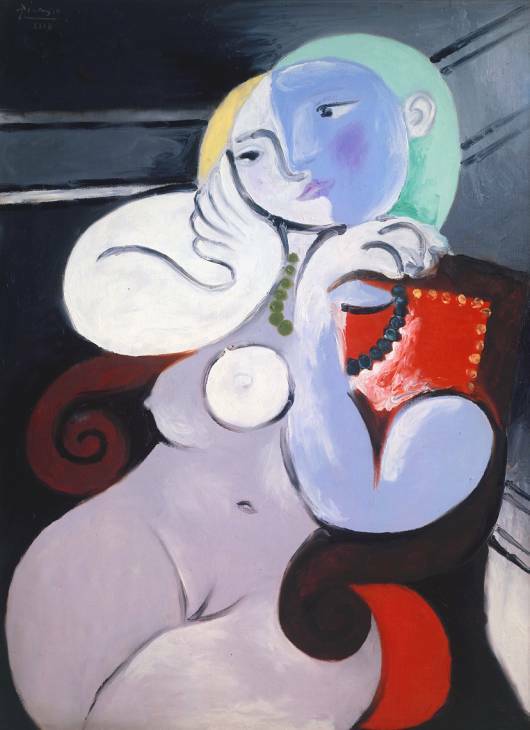 Painting is designed to be hung on a wall and stared at from the front. Sculpture is three-dimensional and, for this reason, it should be circumnavigated and lit from all angles. The majority of works here are pushed back against the wall, inaccessible and lost. The entire method of display makes me uneasy. Even when the works are accessible, you still can’t see them. 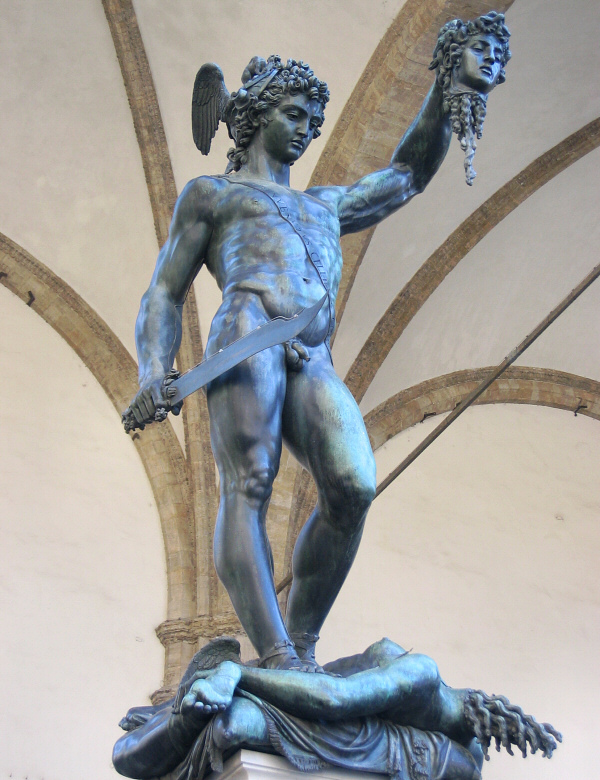 There is a fabulous Cellini in room one of Perseus and Medusa. When you are behind the work, the lights blind you. 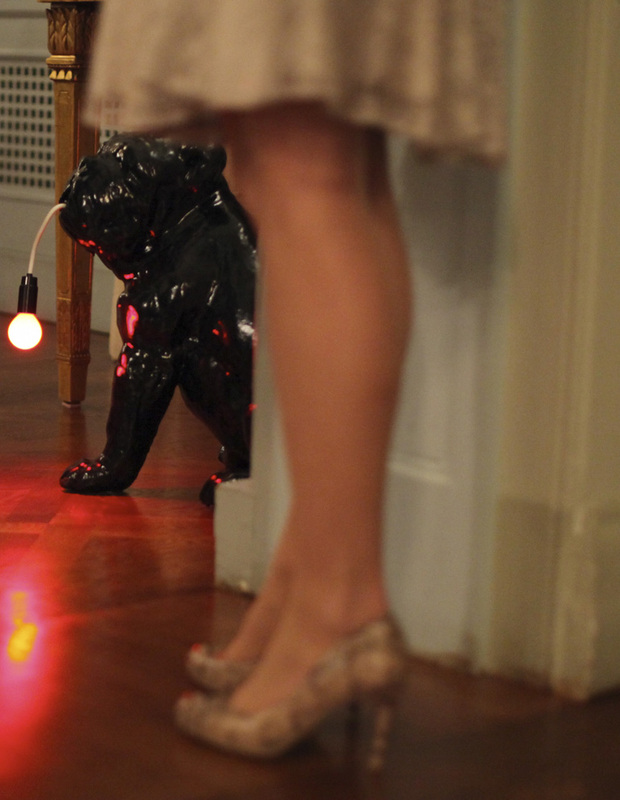 Perseus’ bum hasn’t been lit at all, which is a real disappointment. Cellini, Perseus and Medusa. Image via www.pbase.com. I also have an objection to the stark white cases and statement walls used throughout. The lighting is too bright and not well enough directed and the white walls only make it worse. 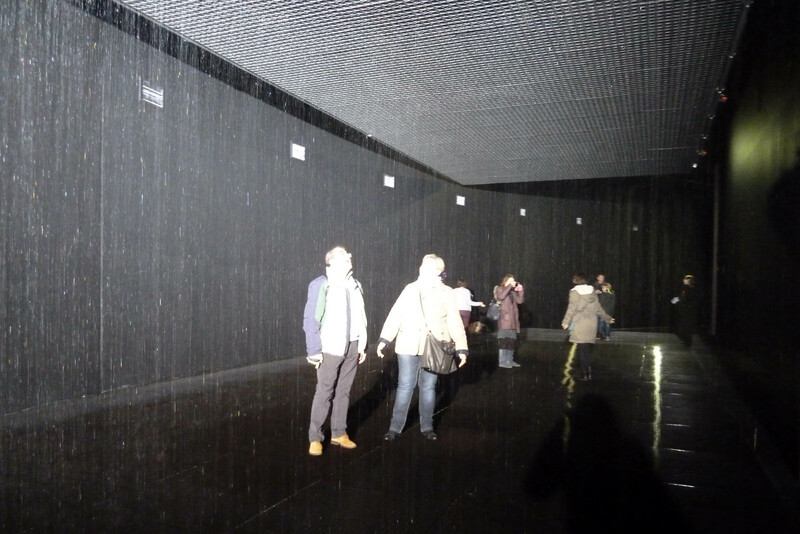 There is no daylight allowed through, this is a dark exhibition that has been floodlit looking like a bad light extravaganza. 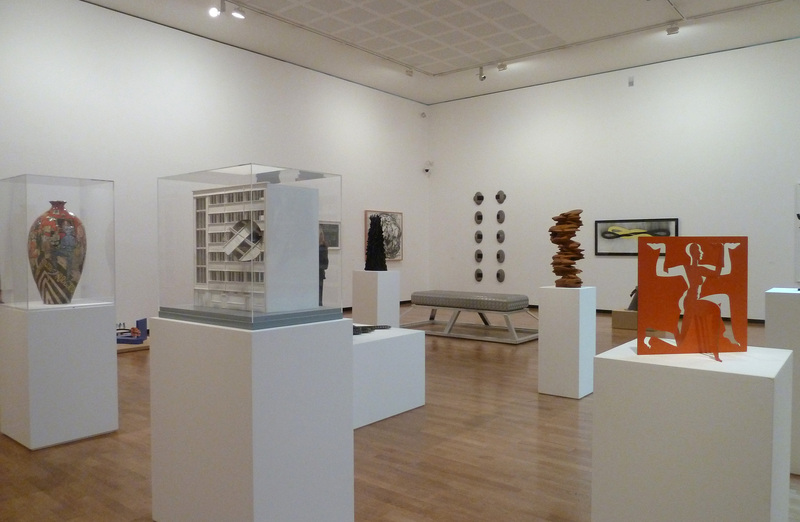 The exhibition isn’t actually cluttered but many of the objects here need at least twice the space to be studied properly. There are far too many things to take in and enjoy. I’d recommend buying the excellent catalogue to appreciate fully some of the wonders or to visit several times in small bursts. 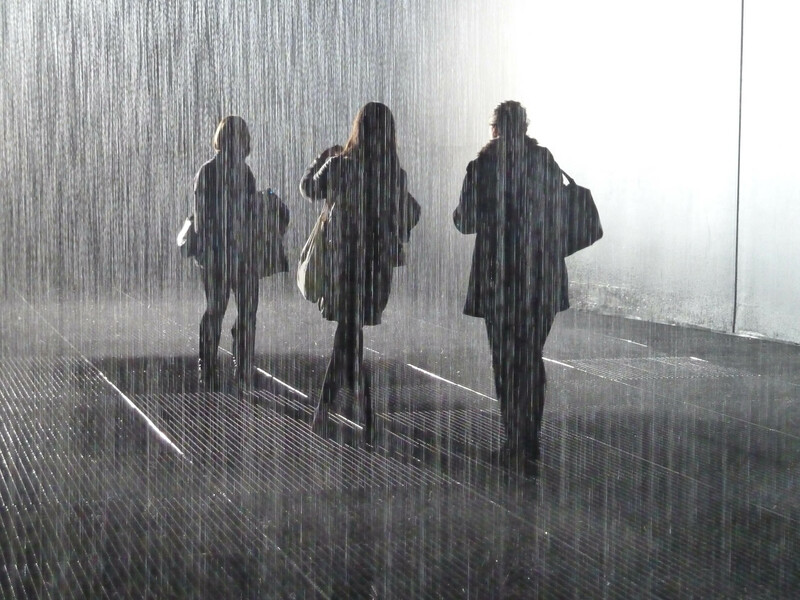 It is impossible to walk around this show in one hit and attempt to appreciate everything on display. 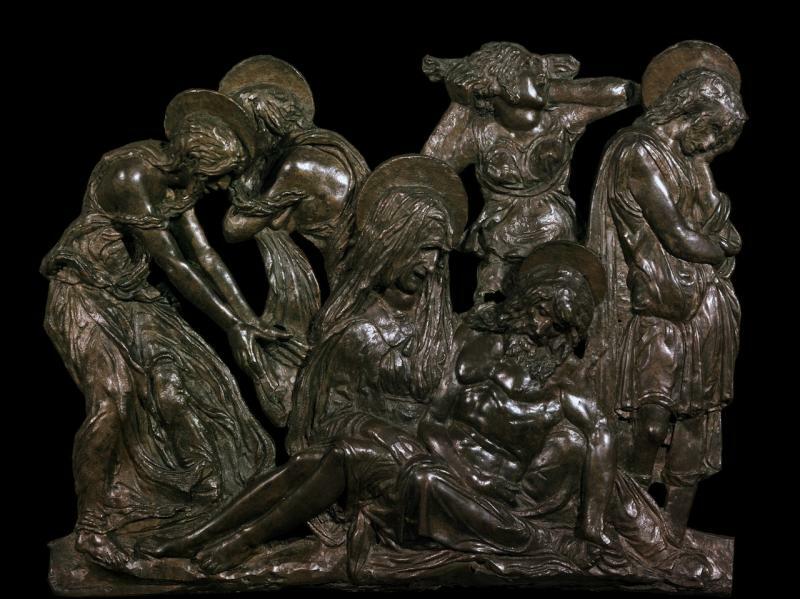 Donatello, Lamentation over the Dead Christ, c. 1455-60. Image via www.theartsdesk.com. When even slightly busy, the space is really quite claustrophobic. I found it quite exhausting to walk round and needed to sit down with a glass of water after my visit. Bronze certainly seems to be dividing opinion and I’m sure many of you will think I’m mad. 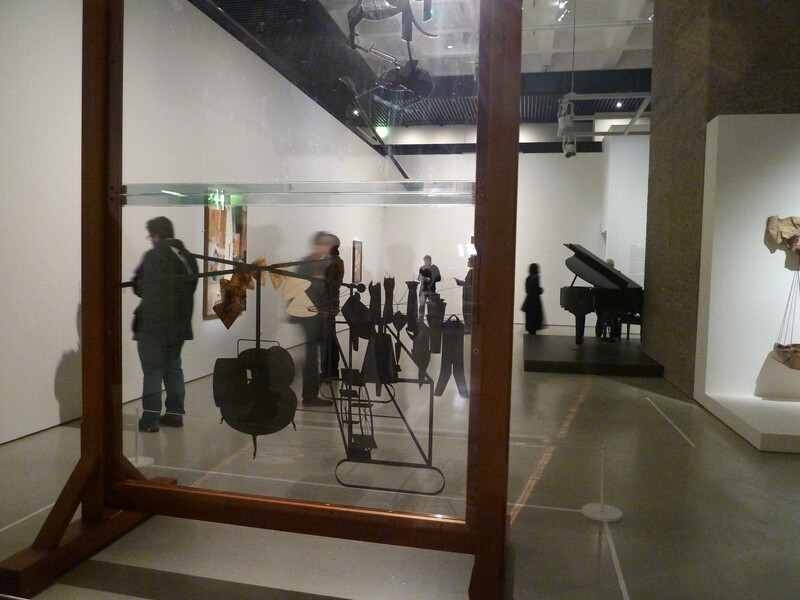 Although I’m not a fan of the layout, it is still an unmissable show that celebrates the medium. The idea of focusing a show around medium does mean that just about anything can be put together without rhyme or reason. But, what the hell, some of the sculptures are so incredible that it’s impossible not to be blown away. RA Now is at 6 Burlington Gardens until 11th November 2012 and Bronze is in the Main Galleries at Burlington House until 9th December 2012, www.royalacademy.org.uk. Edvard Munch was unfortunate to say the least. He suffered from depression, alcoholism, agoraphobia and misogyny but I personally have a feeling that he was one of those people who perversely enjoy the afflictions that life in their paths. 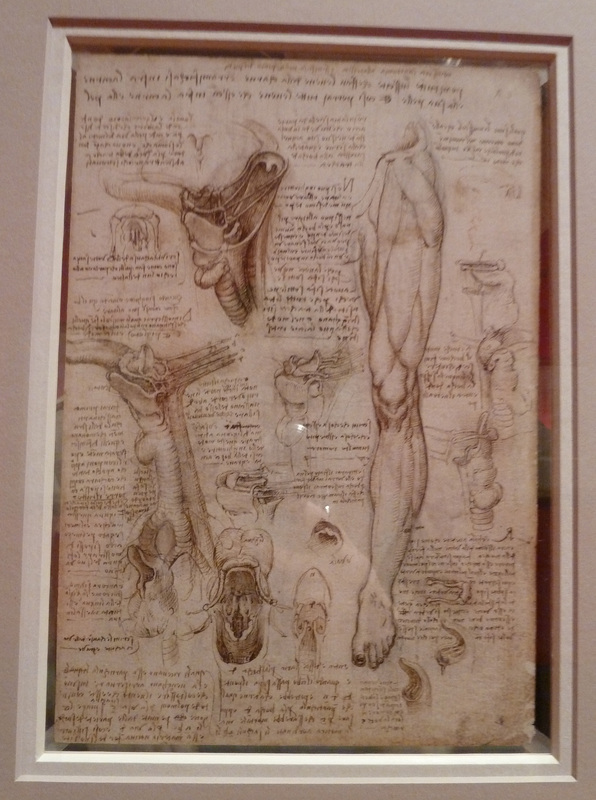 There can be no doubt that he had a tragic life but this exhibition has a tragic start. 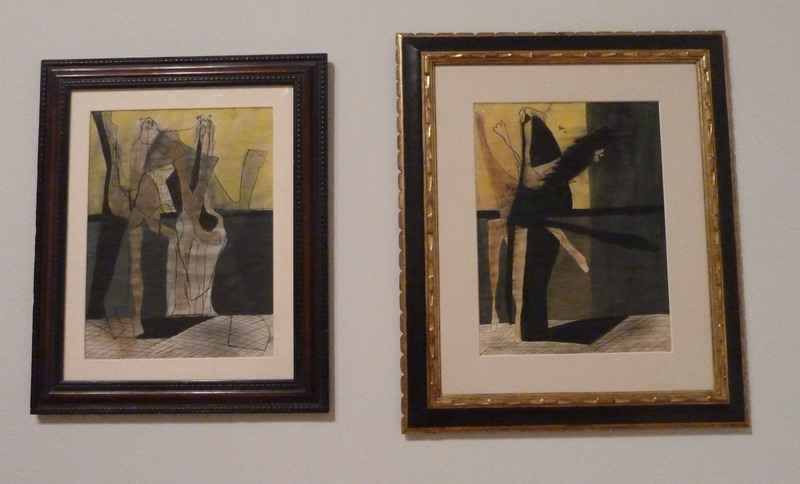 For me, his works don’t explore his torment in an artistic way. Rather, his gloom and misery just emanate from the canvases and rub off on us. The show (with walls painted in depressing Tate grey) doesn’t grab us immediately. Munch, Red Virginia Creeper, 1898-1900. Image via www.guardian.co.uk. 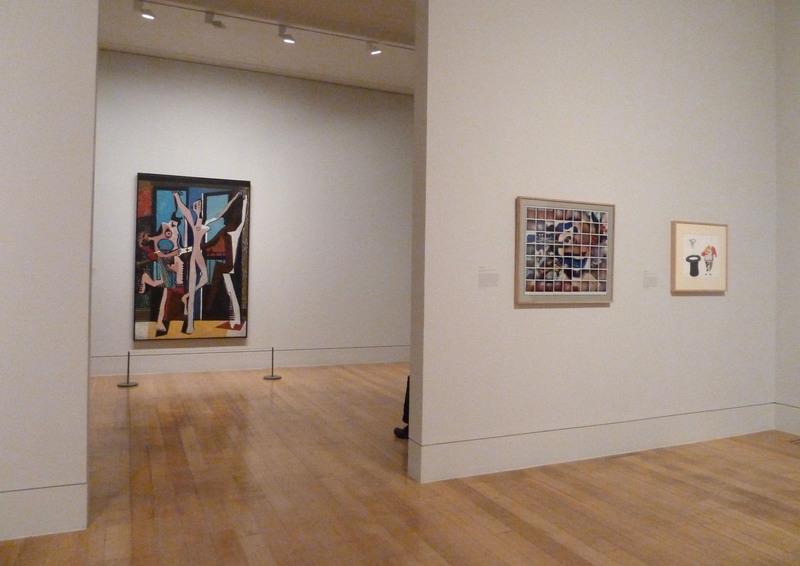 Aesthetically, there’s an improvement from room two where both the works and the exhibition become slightly more vibrant. 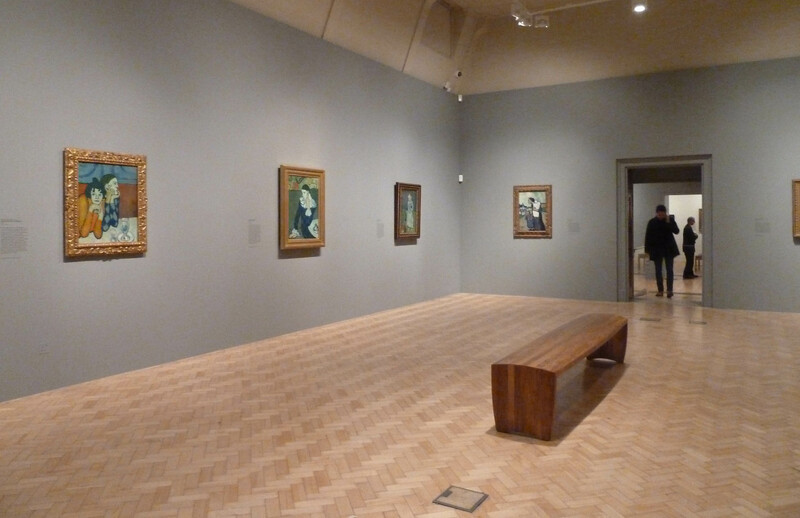 This room looks at Munch’s fascination with repetition as many versions of his works exist. In particular there are several versions of all his main compositions, some separated by as much as three decades. Munch once said that ‘a great idea never dies’ and, rather than copy the works exactly, he created variants reinterpreting his initial ideas. But, often the works weren’t good enough or the ideas strong enough to merit these constant re-workings. Instead we are presented with one shoddily painted work after another obsessed with ideas of death and suffering. The exhibition does make interesting light of his relationship with photography and film and his photography is used to guide us through the different sections of his artistic life. As with the camera, Munch became addicted to cinematography (more than two thirds of the works here are photographs plus there are two films). This understanding and experience helped refine his painterly skills and technique. 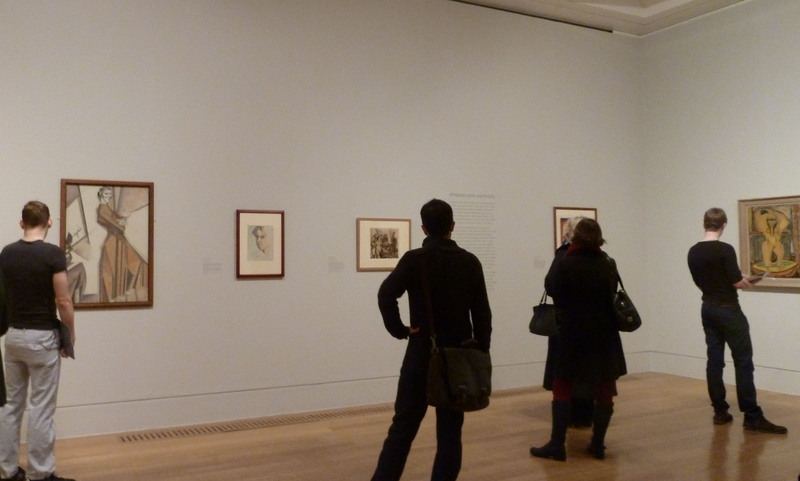 Entitled The Modern Eye, the exhibition aims to show that Munch was a modern thinker with modern concerns. Fair enough, but he is certainly not a modernist which is one of the theses presented here. Munch, Self Portrait Naked in the Garden at Asgardstrand, 1903. Image via www.guardian.co.uk. Munch’s oeuvre is very varied with limited progression and because of this he doesn’t always come off well as an artist. The absence of The Scream does force us to concentrate a bit more on the rest of his output. I’m not convinced this is a good thing though. 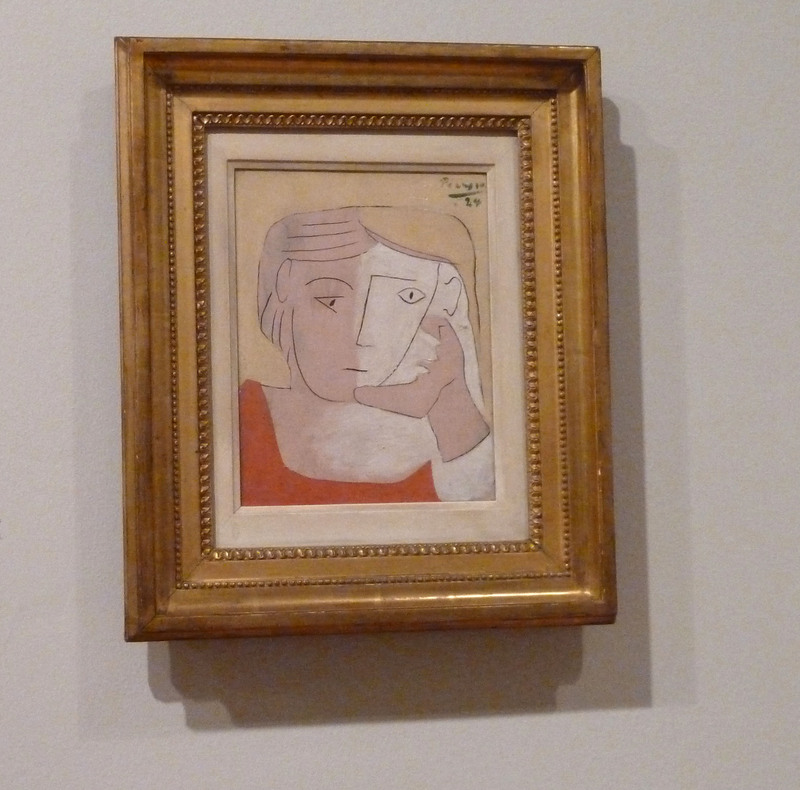 Although multiple copies of it exist, it would have been practically impossible for Tate to organise a loan for the exhibition. 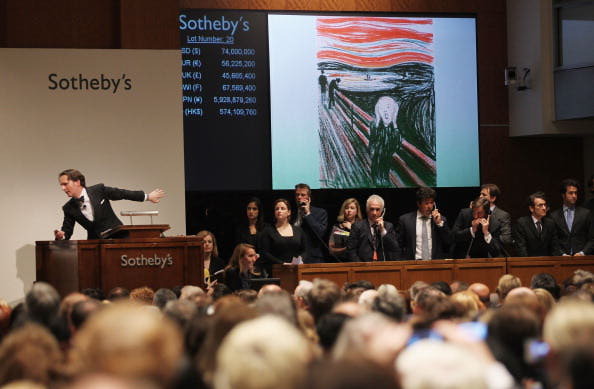 The Scream recently sold at Sotheby’s New York for £74 million after an incredible 12 minutes of telephone bidding. It is one of the most famous paintings in art history although not that many people could name any of his other works. To be fair, I’m not sure I could have done. The anguish, however, of the screaming figure is omnipresent. Munch’s The Scream sells at Sotheby’s. Image via http://fineart.about.com. It is a bland show. Maybe I shouldn’t have visited on a grey and rainy day or maybe it comes down, once again, to lighting levels that are slightly too low. The catalogue, however, is brilliant and I’d recommend buying this rather than traipsing over to Tate Modern. The first essay begins not with discussion of his origins and his birth but with the date of his death – death after all pervades everything that Munch did. 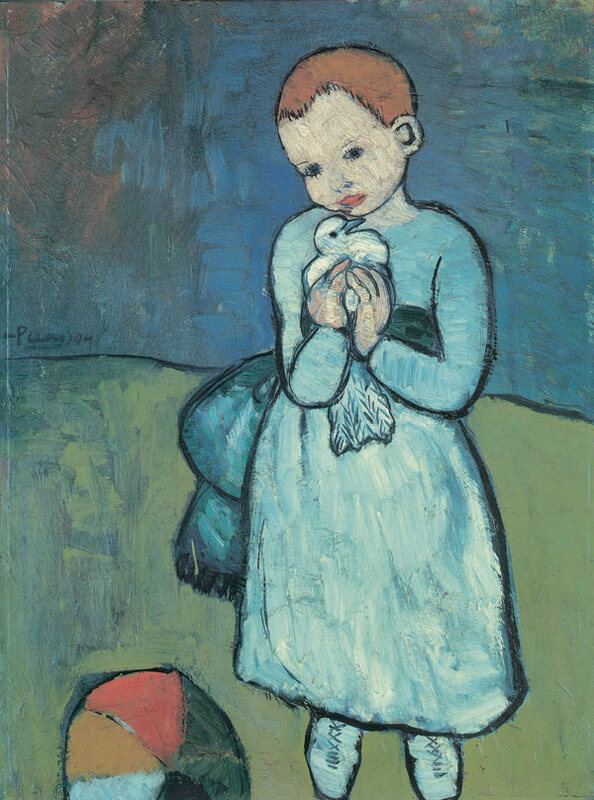 His sister died of consumption when she was only 15 and death and sickness haunt the majority of his works. Six versions exist of The Sick Child – through this reinvestigation Munch was perhaps able to experience a sense of cathartic release. 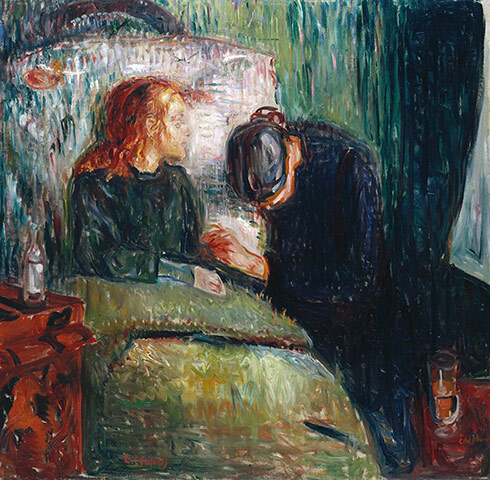 Munch, The Sick Child, 1907. Image via www.guardian.co.uk. 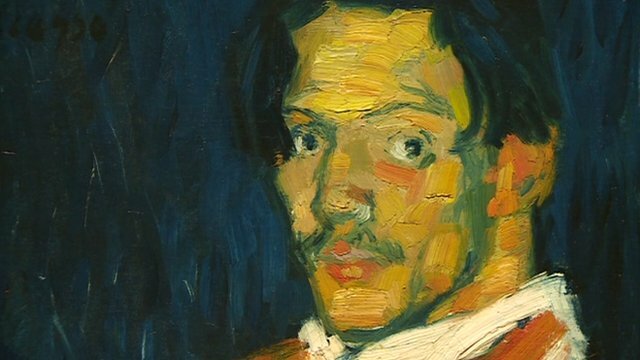 The exhibition begins and ends with his self-portraits. Those in the final room are perhaps the most powerful works in the whole exhibition, following Munch’s self-destruction and the terrifying course of his own dark despair. 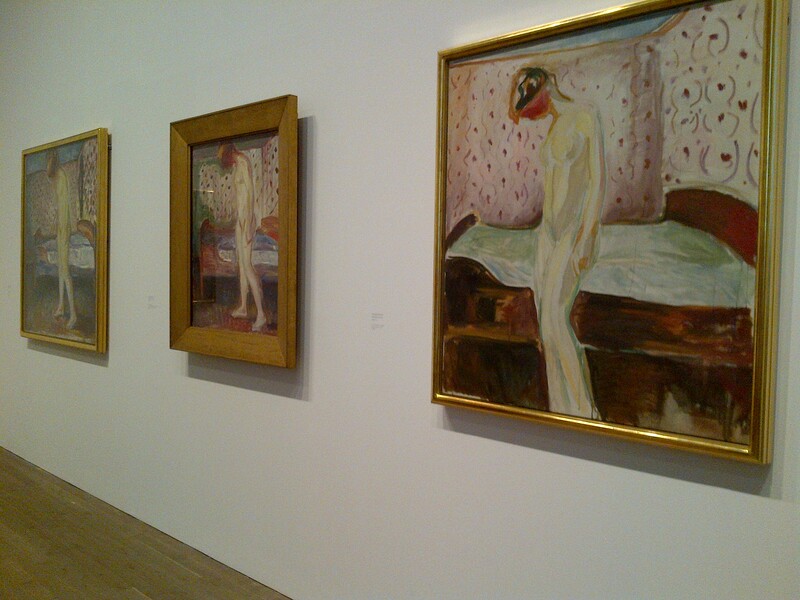 Munch had always had a poorly sighted left eye and, in 1930, he suffered a haemorrhage in his right eye. Rather than consider this a reason to stop painting, he focussed (!) 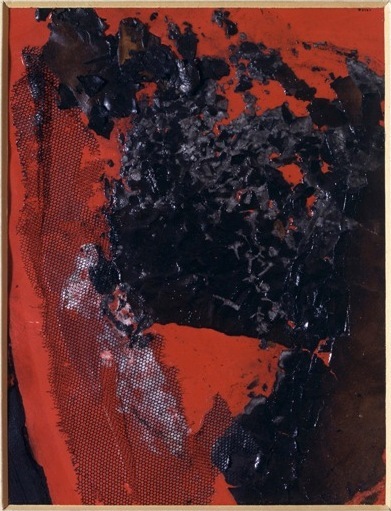 on painting the progression of the haemorrhage; the blind spot in his vision meant that he was able to dedicate himself completely to ill health and the subjectivity of his vision as his sight became further confused and images blurred. 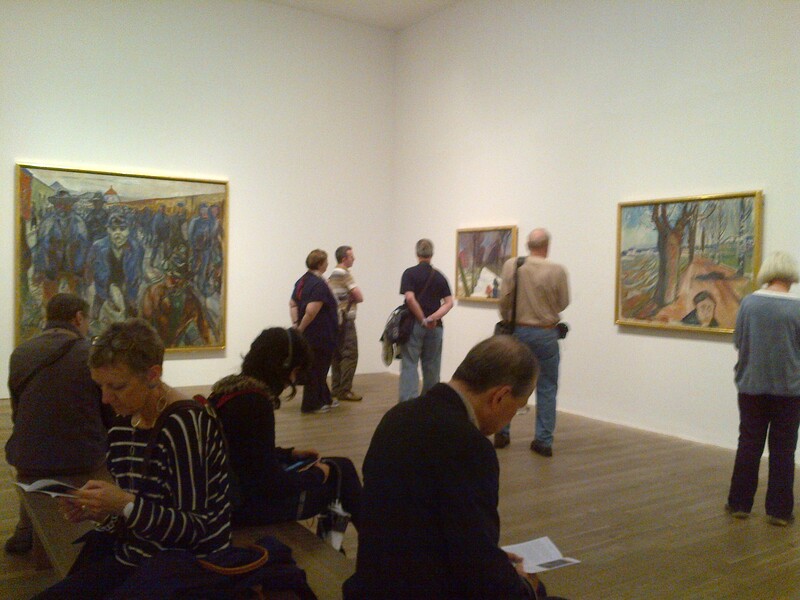 Visitors to the Munch exhibition. Own photograph. 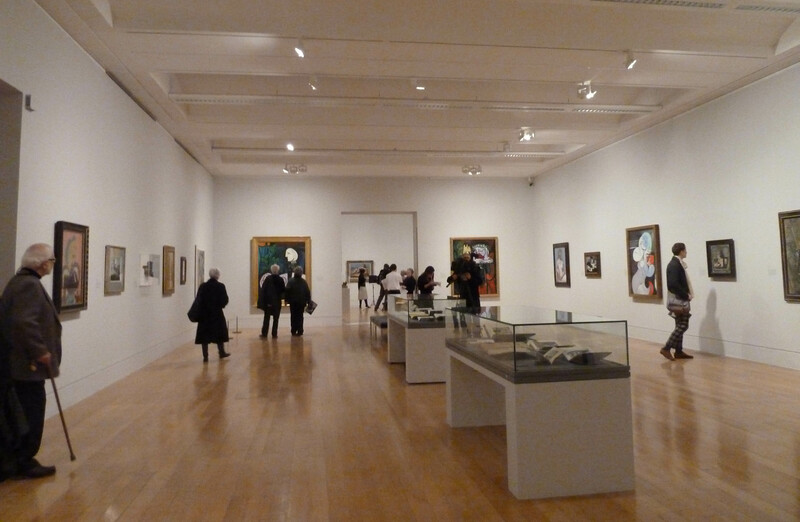 In 2005, the Royal Academy mounted a show of Munch’s self-portraits but few are held in public collections in the UK. 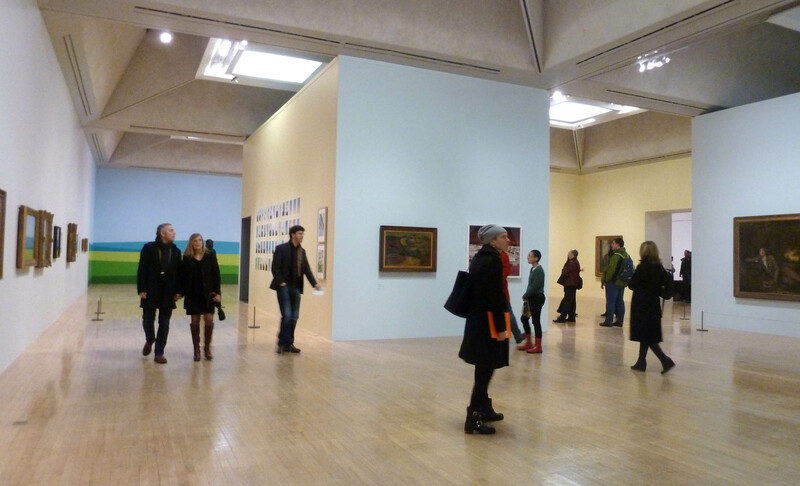 Tate doesn’t seek to engage with Munch’s key works, nor is this a retrospective exhibition. 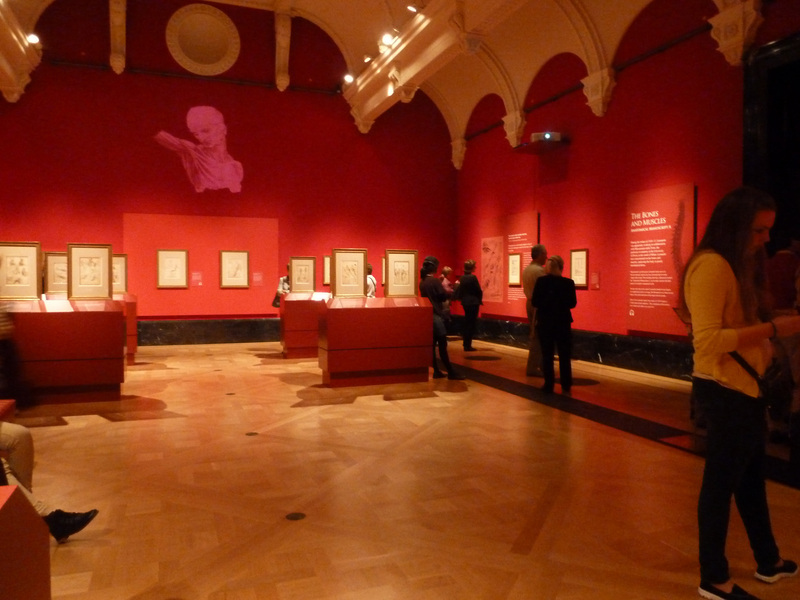 Instead, it has been designed to illustrate the curators’ arguments and theses. 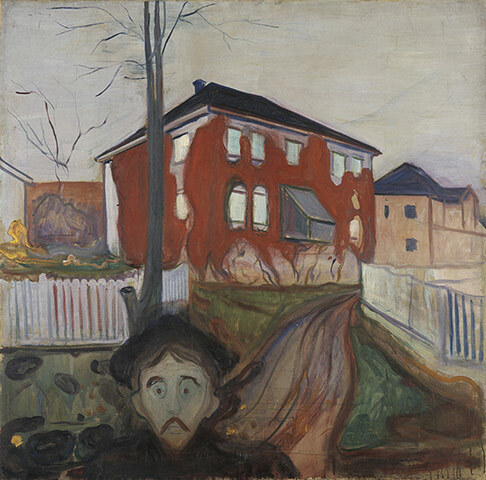 This is not an exhibition that is meant to be palatable to the public but to art historians with a strong interest in Munch – a narrow window indeed when you consider the gloomy outpourings of this depressive and one that I think is far too limited. This isn’t normally a problem we encounter with Tate. Such an institution should be seeking to engage more actively with all its public in a more inclusive way. Edvard Munch: The Modern Eye is at Tate Modern until 14th October 2012, www.tate.org.uk. By now, you’ve probably all seen the documentary and read about the Edward Burra exhibition which opened at Pallant House in October. Various things have conspired against me and yesterday I realised how close I had come to missing this show. So, off I went on a very Mini Adventure. If I can’t take the car via the Strand and Waterloo Bridge then I tend to navigate via The Stoop (Harlequins’ home ground) and this was the way I zoomed yesterday. This is the first major show for over 25 years of Burra’s works and he is finally getting a smidgeon of the recognition he deserves. 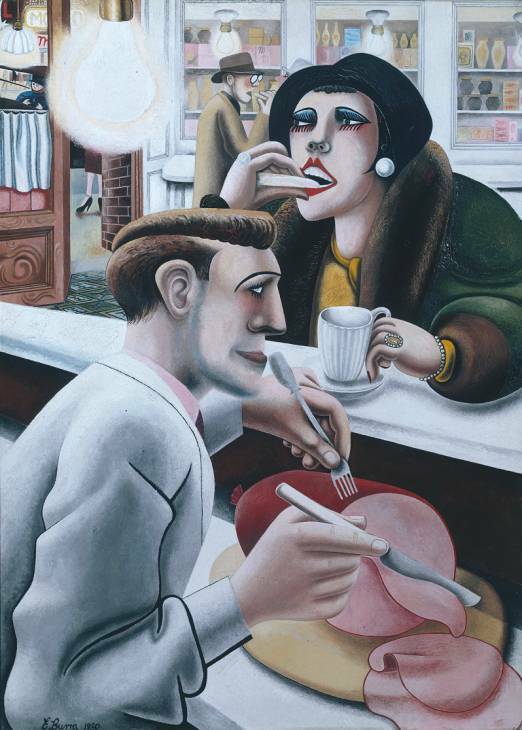 As well as his work being included in Tate Britain’s watercolour show, Zoot Suits fetched a record £1.8 million at Sotheby’s sale of the Evill/Frost Collection. But, the art world elite have always been aware of his work. It’s to everyone else that he has remained a mystery. 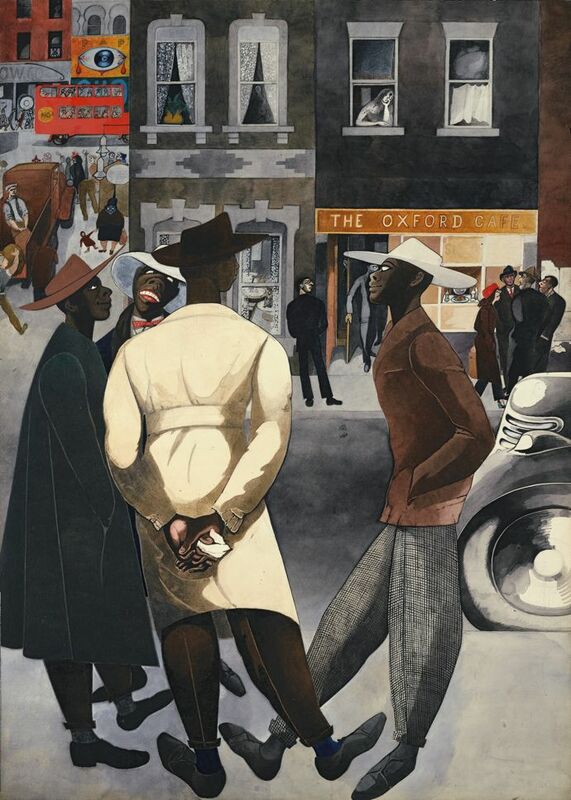 Edward Burra, Zoot Suits, 1948. Image via www.voltcafe.com. 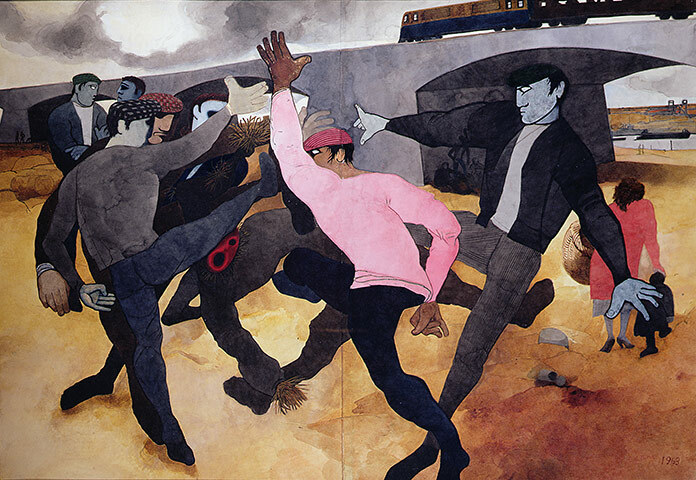 The Edward Burra exhibition provides an opportunity to study Burra’s extraordinary creativity. 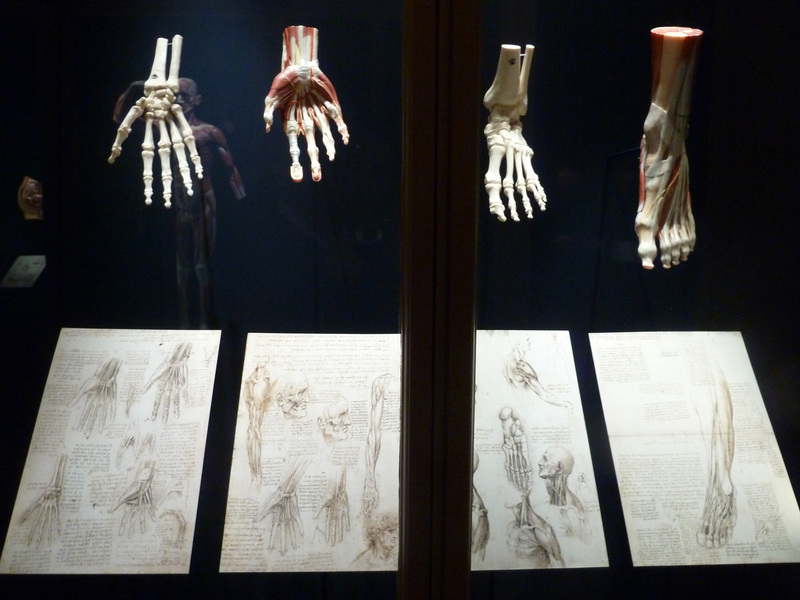 Burra was remarkable; suffering from severe arthritis and rheumatism, he was barely able to move his claw-like hands at the end of his life and grasped a paintbrush with his swollen fist. Serious anaemia also left him debilitated and subject to collapse with no energy but, notwithstanding his constant ill health, he never wanted to be defined by this as it was something that he abhorred. Burra was fortunate to be born to a wealthy family and to have humour and an indomitable spirit, qualities that allowed him to rise above his many illnesses. 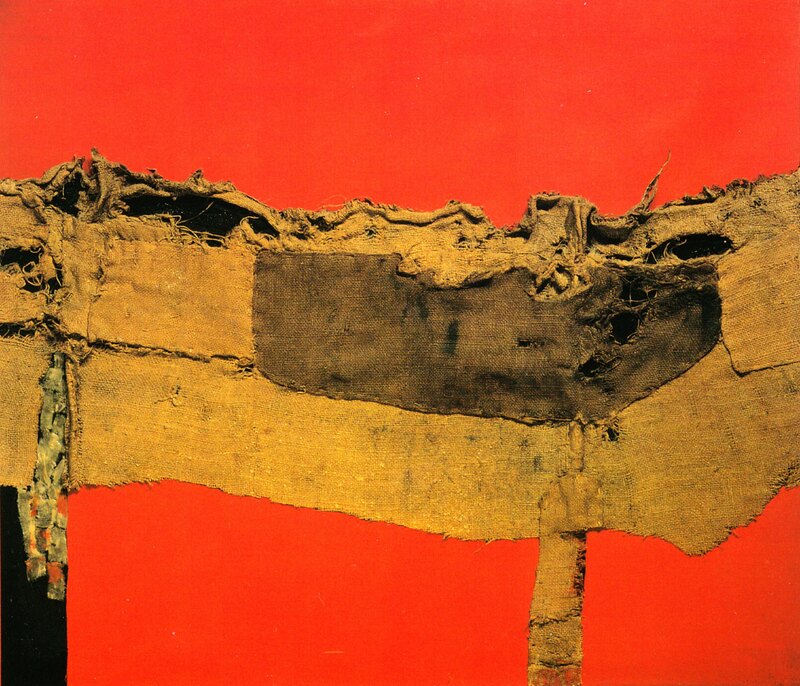 For Burra, art was his drug and his escape; the only time that he didn’t feel any pain was when he was painting. 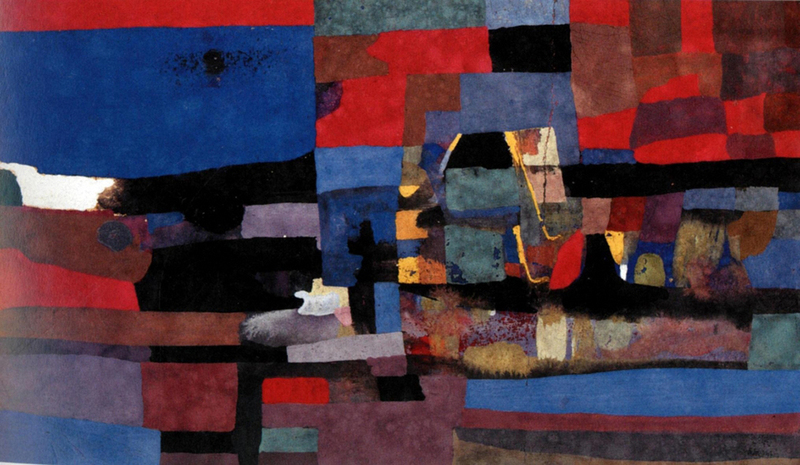 Burra lived in Rye, Sussex but he travelled far and wide drawing inspiration from diverse sources, creating complex artworks often redolent of the time in which he lived. 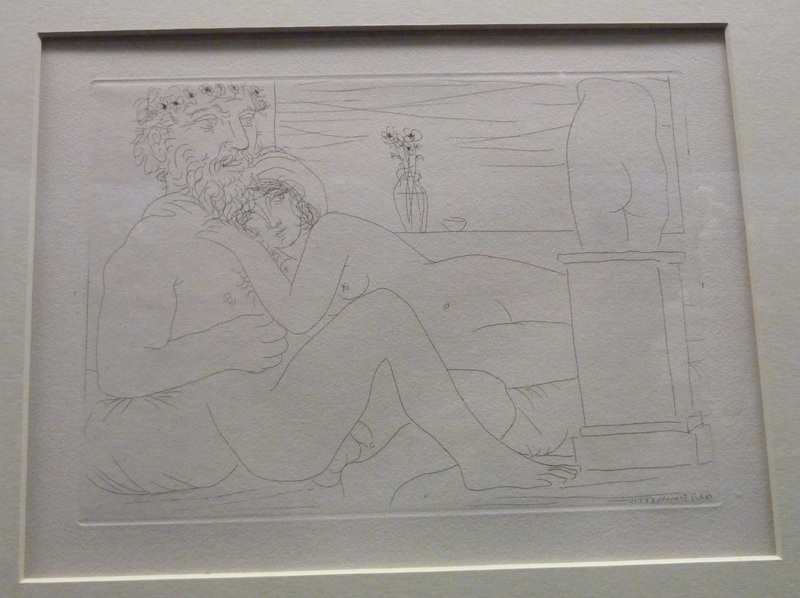 His sharp eye combined with a love and knowledge of art history that is often evident in his works. He was fascinated by modern urban life – the cheap glamour of tarts and prostitutes who congregated in the Mediterranean seaports and the boulevards of Montparnasse and by the black culture he saw in Harlem where he was intoxicated by the violent colour, noise and heat. 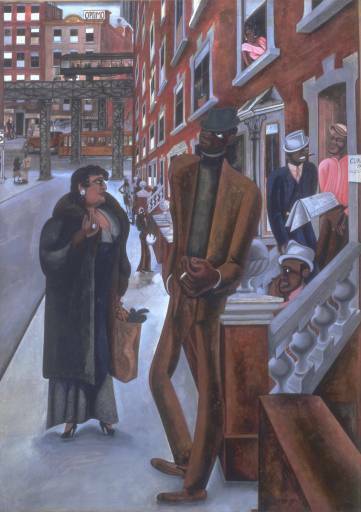 Edward Burra, Harlem, 1934. Image via www.tate.org.uk. 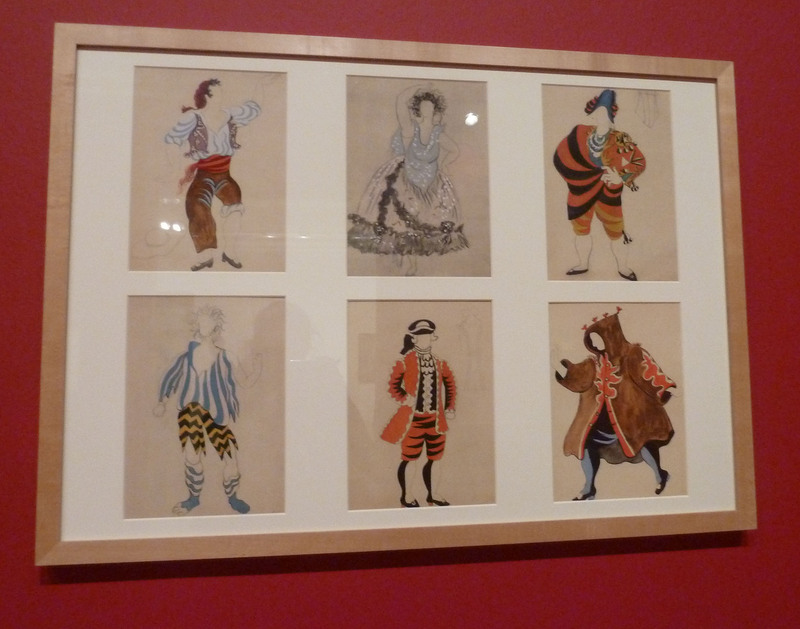 Apart from his collages, almost all of Burra’s incredible works are executed in watercolour and he was one of the most skilled exponents of the medium. 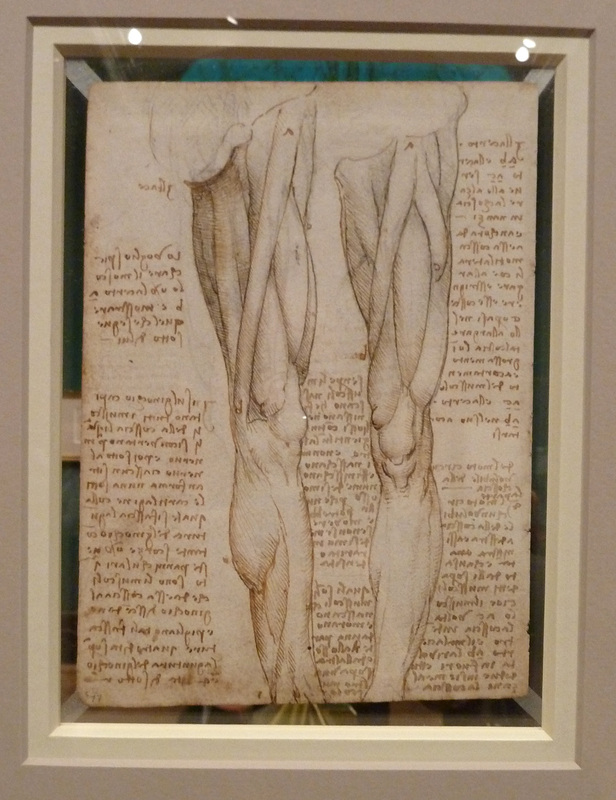 Initially, it’s hard to believe that they are not painted in tempera as the handling of the medium is so tight and the works lack the fluidity and tonal quality one would normally associate with watercolour. 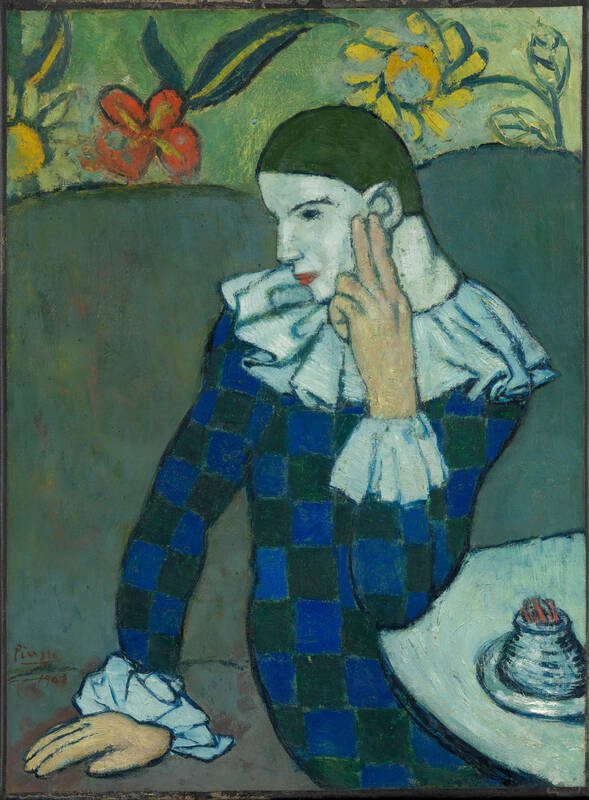 It’s probable that he worked so heavily with this medium as it allowed him to paint at a table rather than being forced to stand at an easel. Edward Burra, The Straw Man, 1963. Image via www.guardian.co.uk. 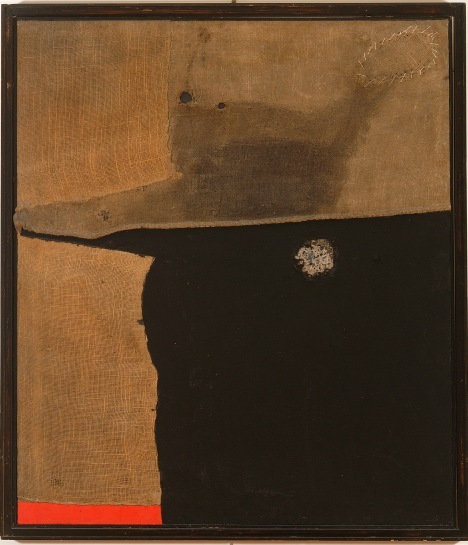 Burra is an eccentric artist who resists categorisation. The characters in his paintings jump out at you from their frames. 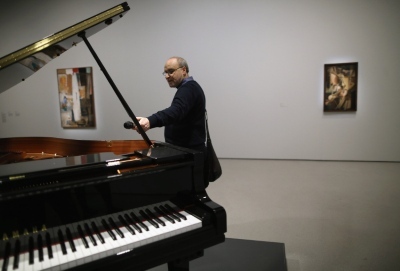 His compositions are often playful, provocative and powerful – nowhere else will you find such dynamism and life. 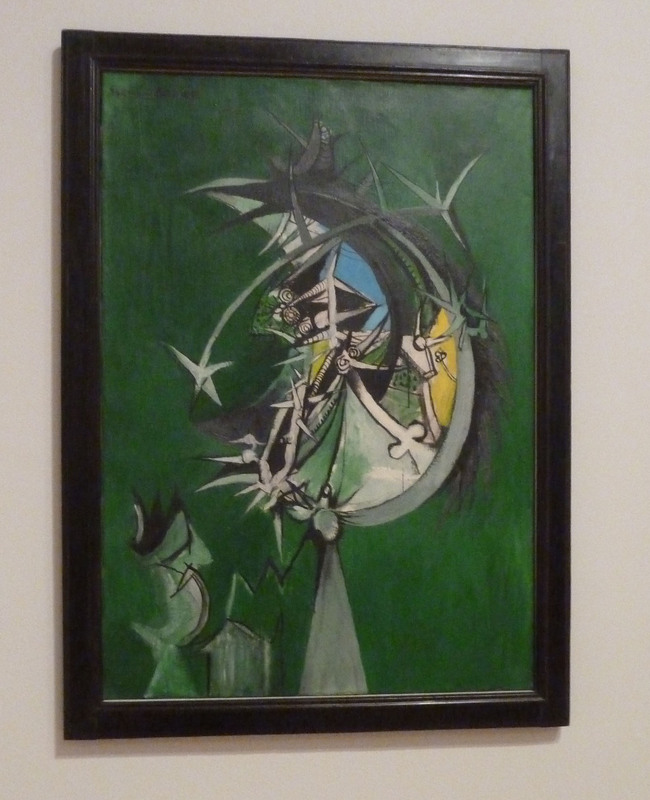 The Danse Macabre works look at Burra’s experimentation with collage; his strange composite beings are almost Surrealist and further heighten the confusion as to what movement Burra should be ‘shoved’ into. 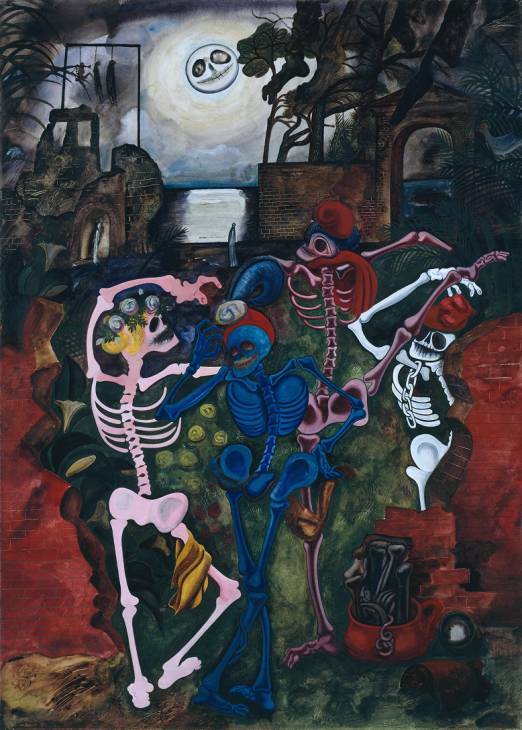 Edward Burra, Dancing Skeletons, 1934. Image via www.tate.org.uk. 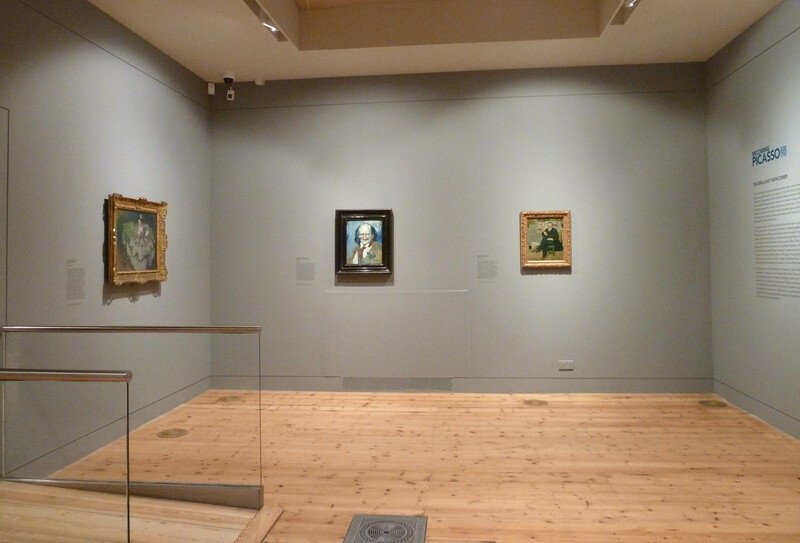 The Pallant House exhibition is ordered by theme – High Art/Low Culture, Danse Macabre, A Sense of Unease, The Sussex Landscape, Late Landscapes and Painting The Stage – which works quite well because it is hung in relatively small rooms off the main gallery space. It’s a difficult exhibition space to work and although a thematic display is successful sometimes the rooms feel too isolated and self-contained. 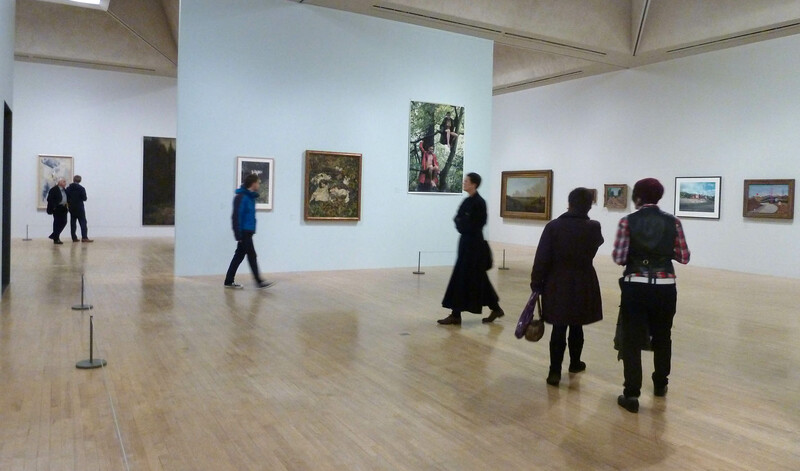 Most of the works here are on loan from private collections and are rarely seen. The exhibition includes some very unusual Burra works, particularly the Sussex landscapes with which I wasn’t really familiar; these are rare as the majority of Burra’s work did not deal with Britain. 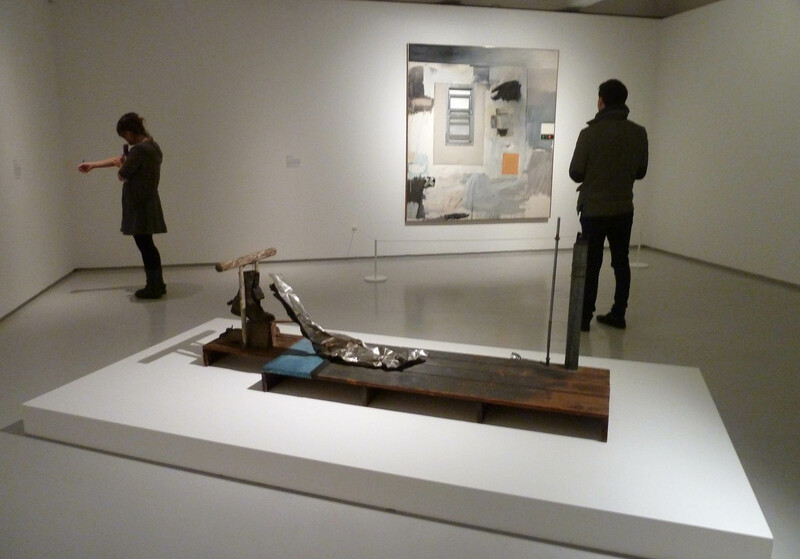 The room of Late Landscapes includes Burra’s painting materials and colour tests from the ’70s. Amidst these is an envelope that had become a testing page and a shopping list; in his distinctive writing Burra has scrawled ‘anchovies, paste, sardines, coffee, BRD, 4 batterys, savlon’. This is a really lovely human detail. In fact, as I write there is an envelope next to me that I have commandeered as a to-do list. 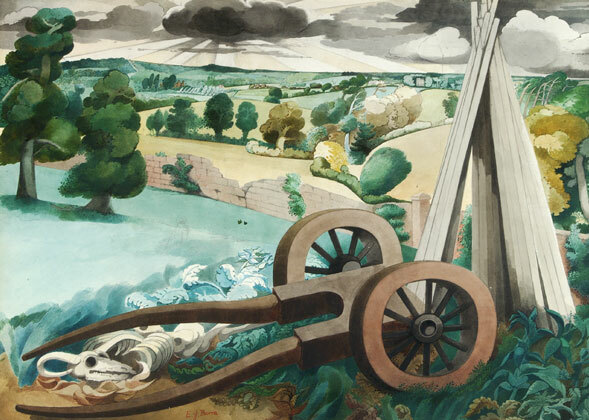 Edward Burra, Landscape near Rye, 1934-5. Image via www.pallant.org.uk. Burra was able to create an incredible atmosphere of suspense with heightened drama. Although his subject altered radically over the years, there is always a sense that something isn’t quite right as he imbues even happy scenes with a sinister quality. His works are humorous but disquieting, both comic but tragic; we are always left with questions and never quite know what Burra wanted us to think. But that is the point. After all, he famously said that he never ‘never tell[s] anybody anything’ so he wanted us to work it out for ourselves – or maybe not. 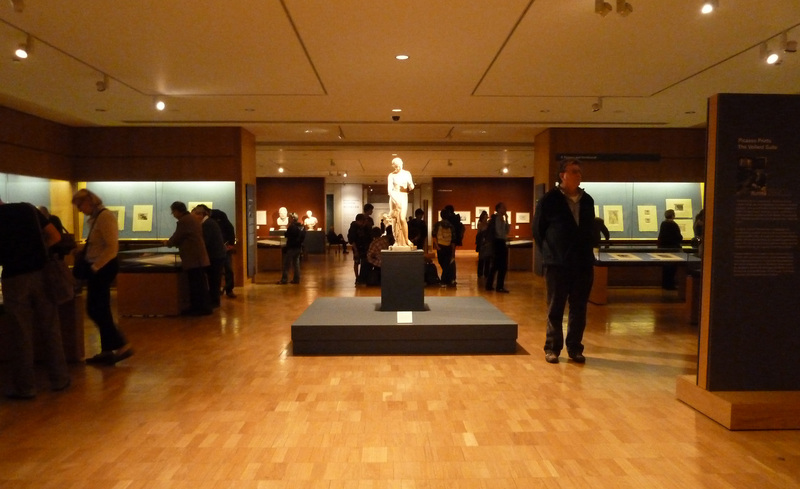 I was pleased to see how busy the exhibition was. It is Burra’s seedy depictions of social scenes that grab us, opening windows into the underbelly of a world we have not visited. 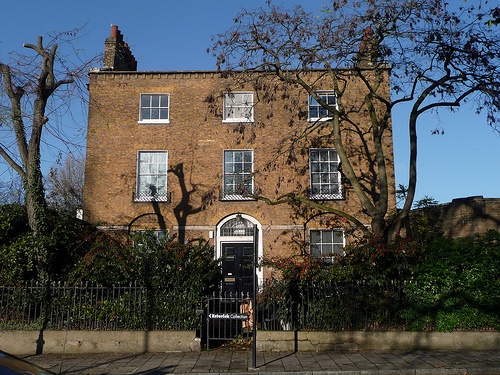 John Rothenstein suggested that they may ‘constitute the most grand and the most vivid interpretation of the least reputable seams of society by any painter of our time’. Although I’d have liked to see a few more of his idiosyncratic bustling urban scenes, the exhibition is great to allow an overview of the Burra that few people know. 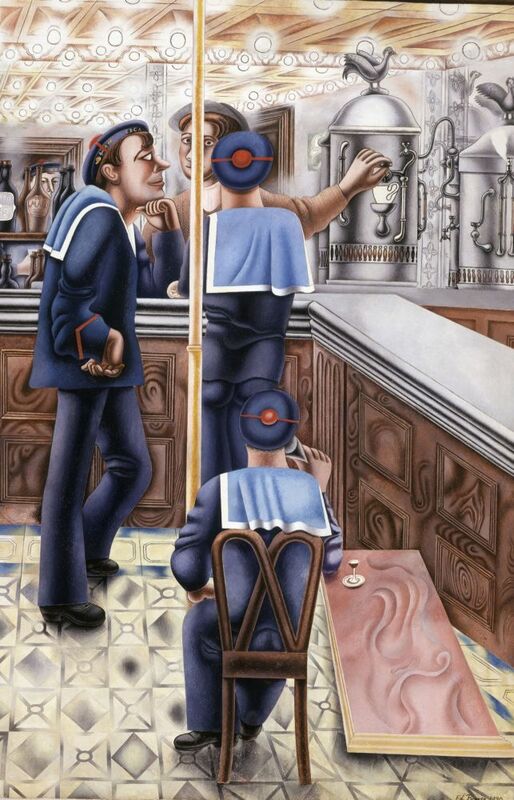 Edward Burra, Three Sailors at a Bar, 1930. Image via www.hh-h.com. I’m not sure you’d leave Chichester loving Burra if you don’t already but if you have the Burra bug, like me, then it’s definitely worth rushing down to this. I hope that before too long there will be another opportunity to talk more about Burra but, right now with only two days left, I urge you to jump on the train or head over via The Stoop and see his work for yourself. 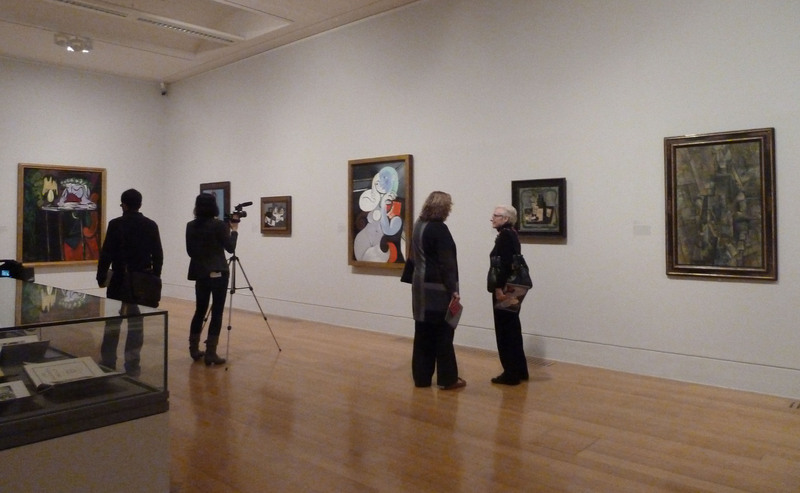 Edward Burra is at Pallant House Gallery until 19th February 2012. Also, in room four is a small David Dawson exhibition which includes his wonderfully intimate photos of Freud – some of which are at the NPG – and his own lesser known paintings. 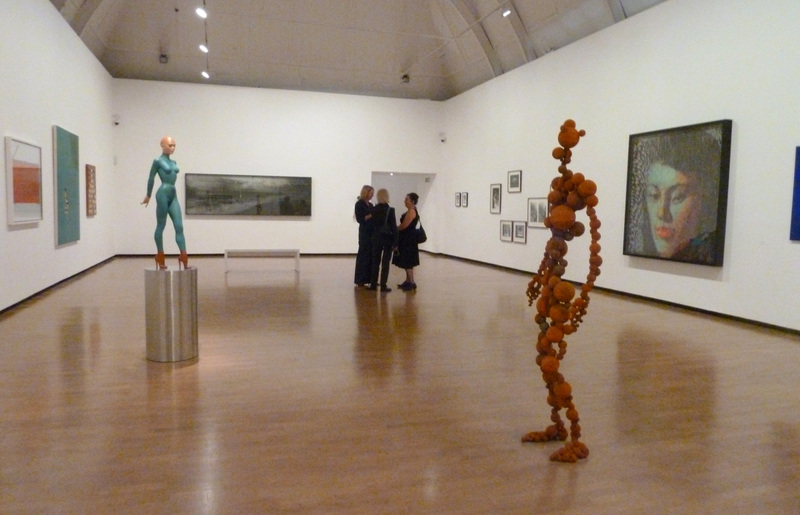 David Dawson: Working with Lucian Freud is on until 20th May 2012, www.pallant.org.uk.